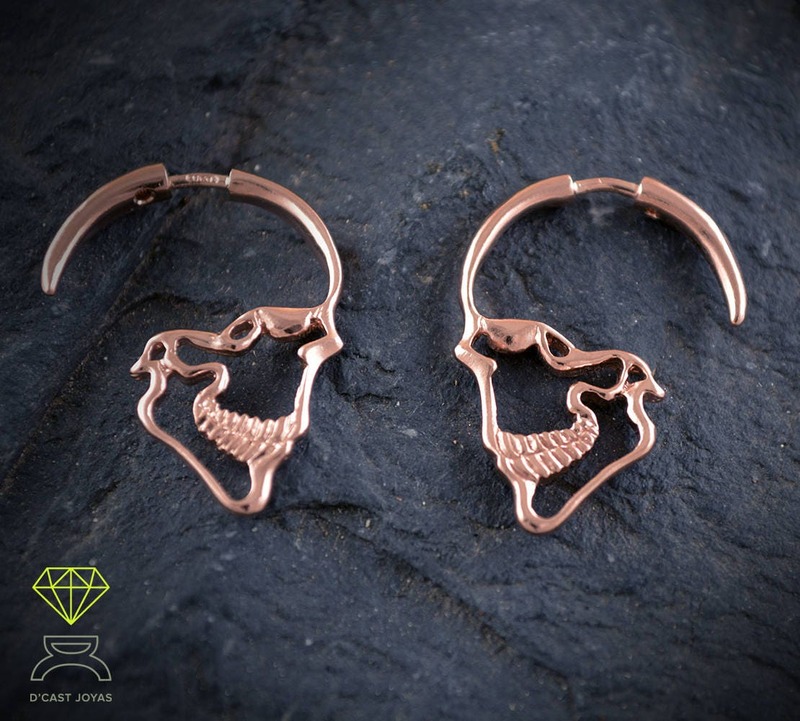 ** These Sterling silver earrings handmade in our workshop in Madrid, Spain. They are perfect for both women and men. ** Handmade hoop earrings in solid silver. The shape represents the skull profile. So that the drawing is fine and stylized, we have designed a type of closing of roses that we elaborate manually with extreme care and precision. 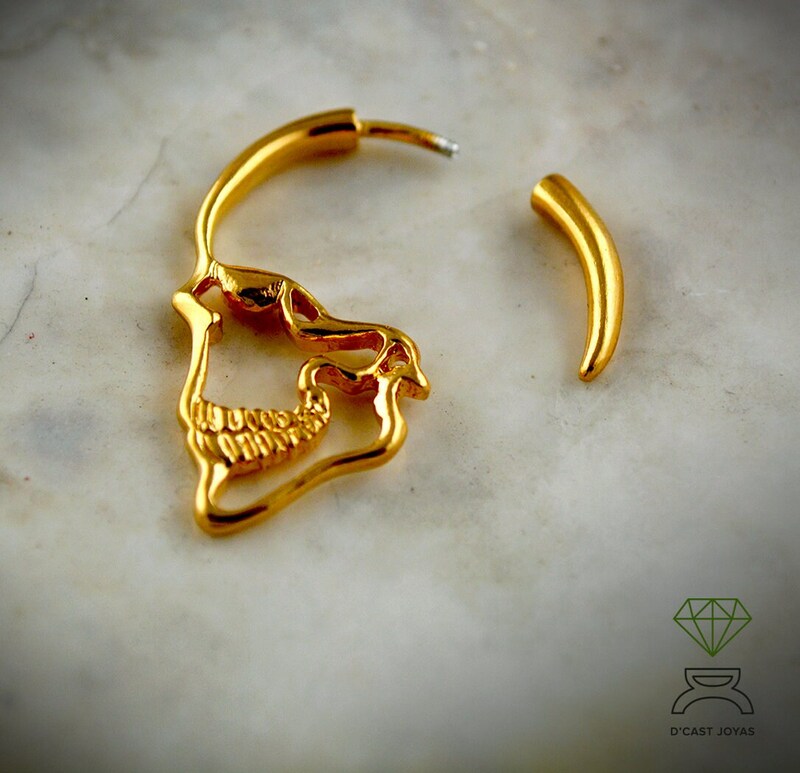 Visually it gives the sensation that the skull ring goes through your ear. 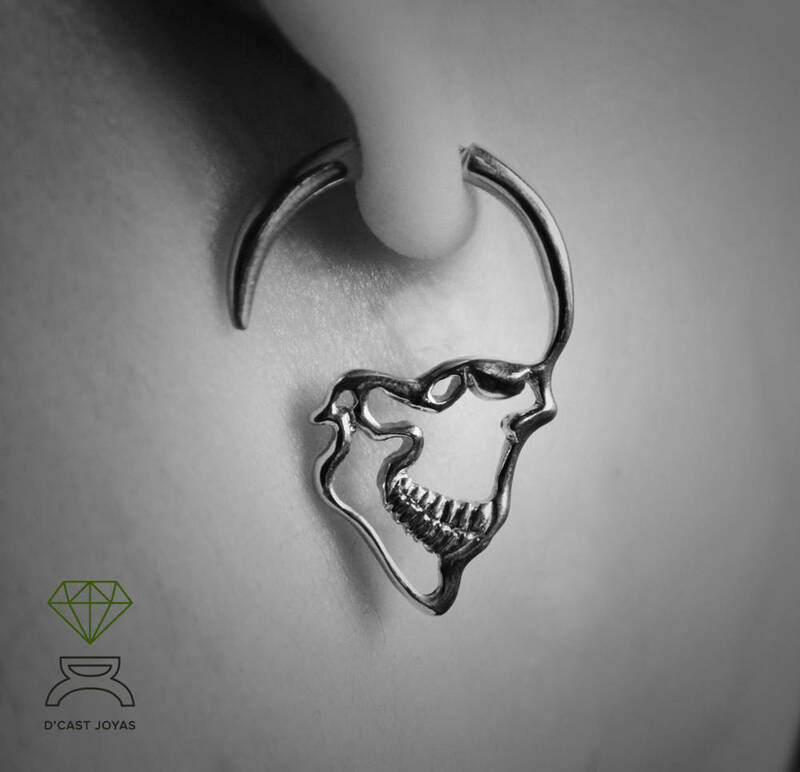 as if it were a dilator but with the stick of the narrow ear, so it can be worn by people who do not have dilated the hole in their ear, but who like the models of dilator rings, with a more alternative and urban look . 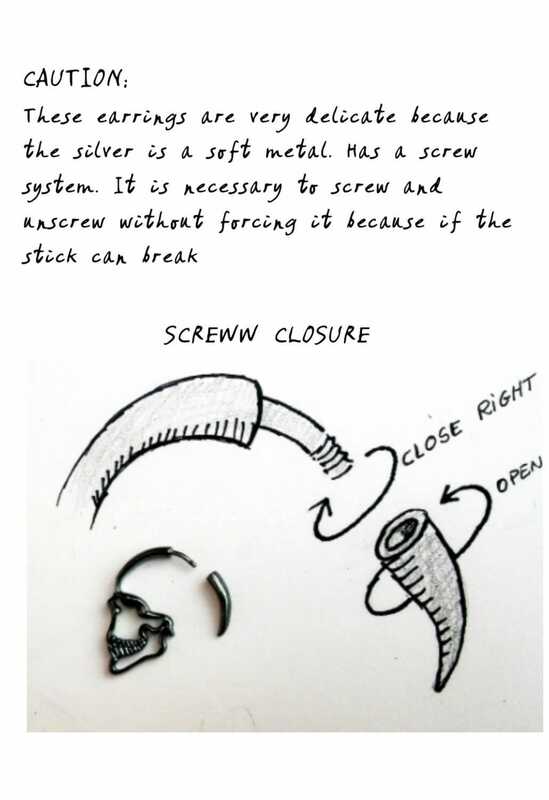 The closure is the end of the drawing of the skull and it is screwed behind the ear to the toothpick. You have a sketch with the instructions so you can learn how to wear them. 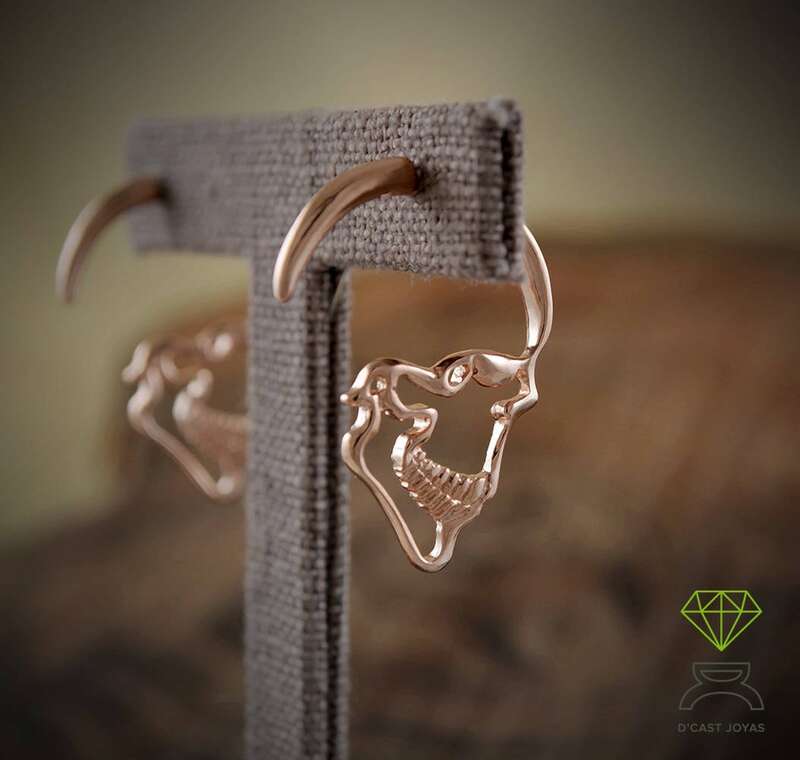 ** This model of skull earrings carry a high quality bath of two microns of 18k rose gold. 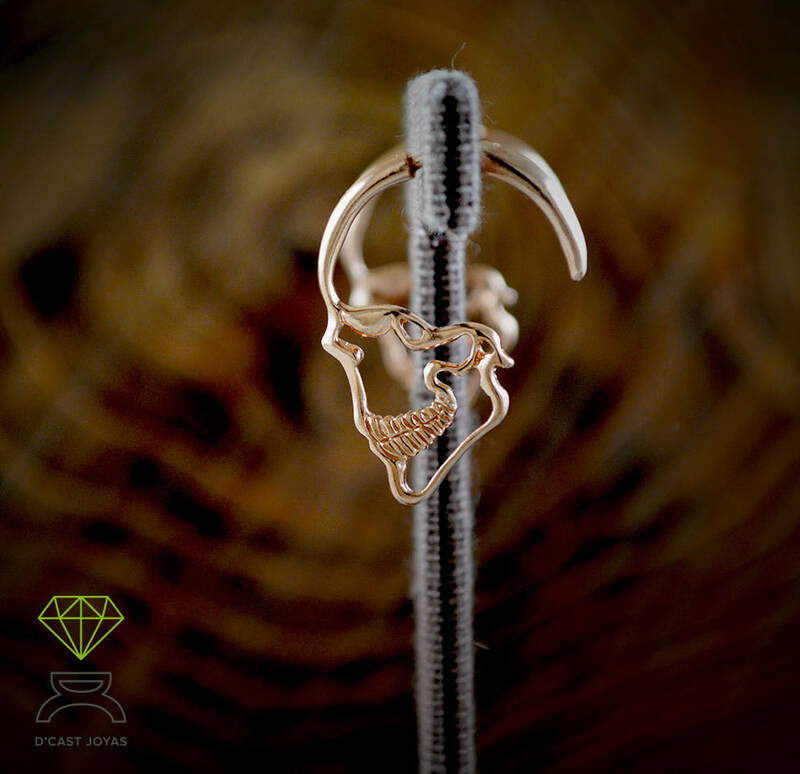 We like to offer more possibilities of choice and that more people are encouraged to wear skulls. 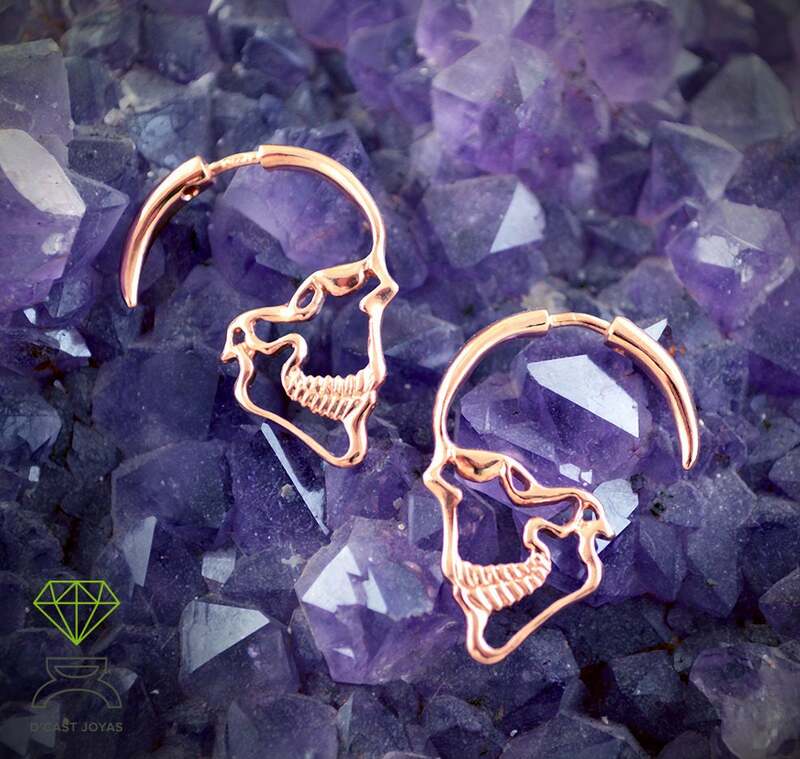 The rose gold is increasingly fashionable and is the most surprising and original with our skulls. 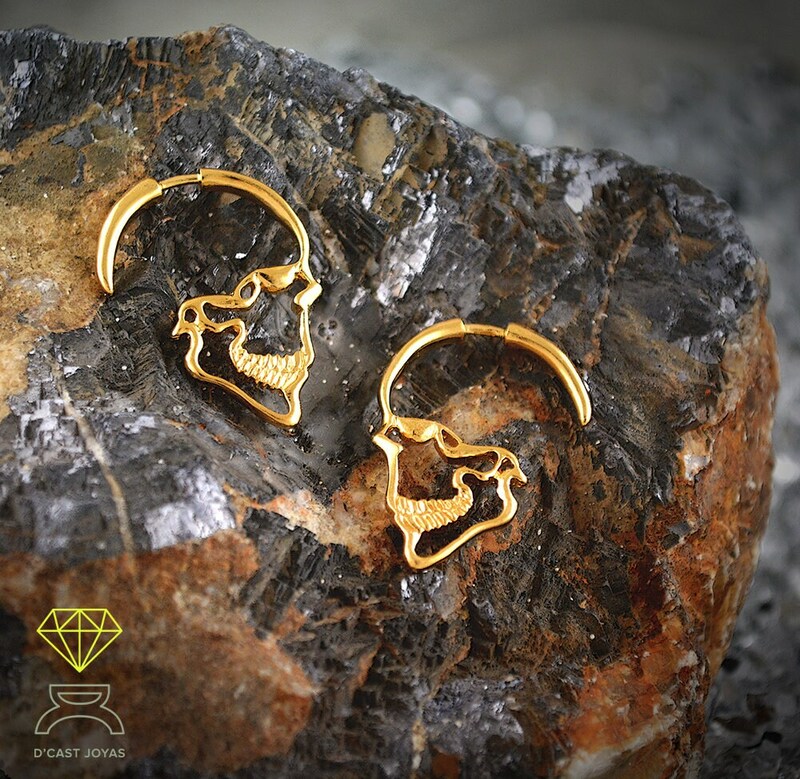 ** Being such a special earring, you can buy it in pairs or per unit if you want to combine different earrings models. 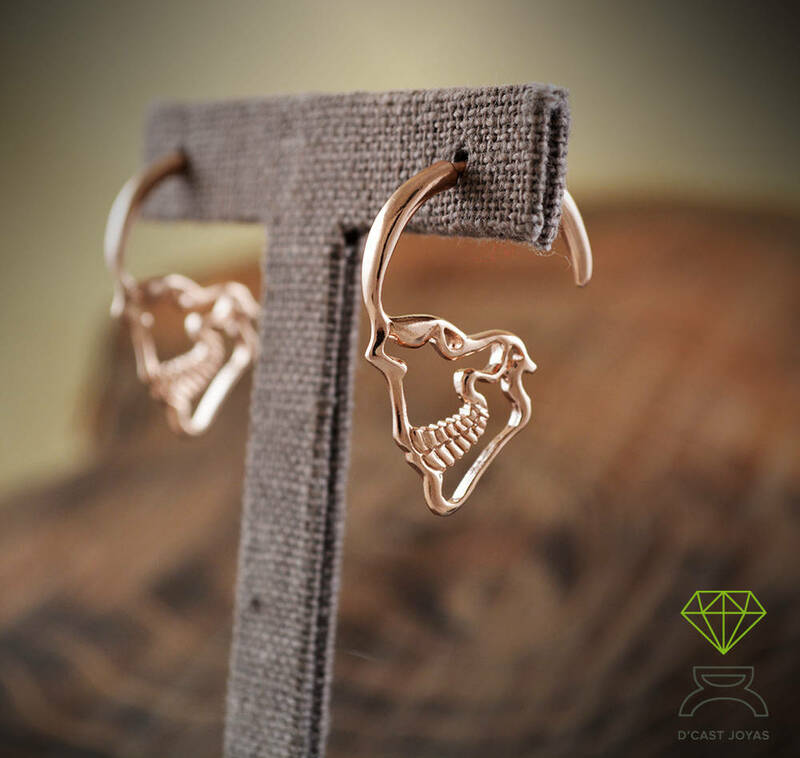 ** Our skull profile earrings are a perfect gift for any occasion. 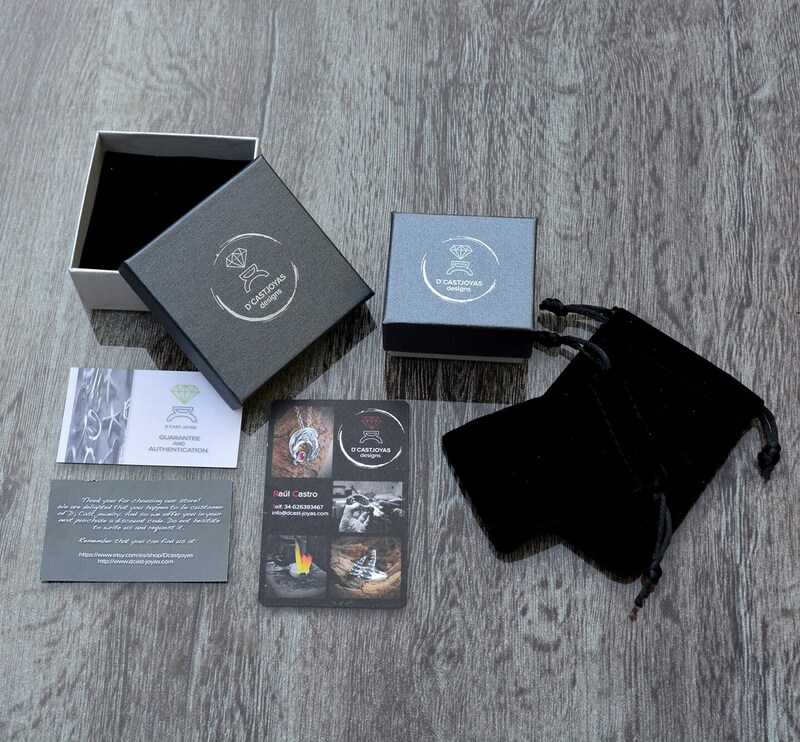 We are sure that you will surprise with this original gif. ********A great idea to give on Halloween! **** If you have any questions, please do not hesitate to write us. We will be happy to assist you.